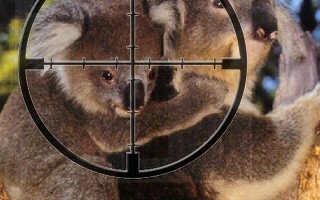 Daniel Andrews is set to kill baby koalas! Please write/email the Victorian government and express your concern about the unethical treatment orphaned native wildlife on the fire ground and elsewhere. Feel free to use/cut and paste the draft letter (complied by VOWS members) below. My name is ………… and I live at …………… I wish to express my outrage and concern that in an irresponsible and callous move the Daniel Andrews’ Government has installed regulations to euthanase any surviving joeys of ‘common species’, including koalas, that are found on the fire ground. Viable, healthy joeys are now to be killed if they survive bush fires, this is unacceptable. 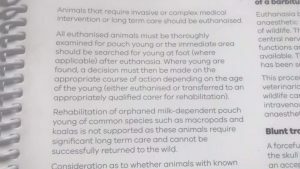 This year his government signaled that it is interested in adopting a short-sighted catastrophic policy that will see ALL sick, injured and orphaned kangaroos, wombats, possums, cockatoos and any species they deem to be ‘overabundant’ KILLED instead of rescued and rehabilitated. 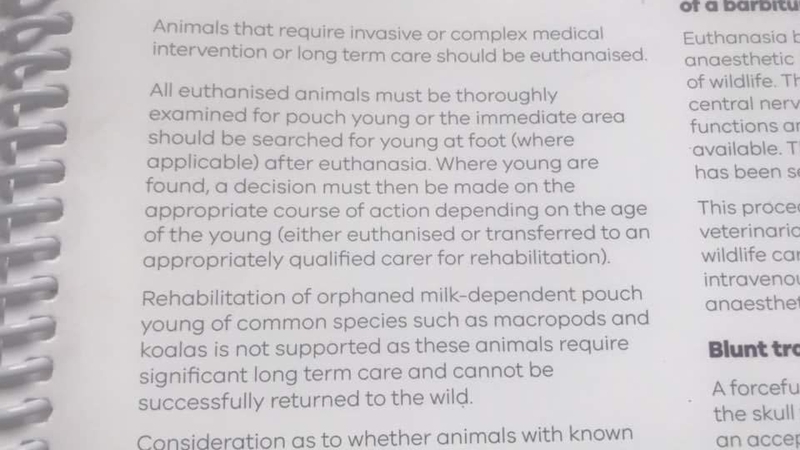 This unjustified policy may act to drive wildlife carers underground and will see members of the public refusing to hand over animals to vets and shelters in the fear that they will be automatically killed. This will ultimately result in horrendous and widespread animal suffering. Trained and experienced wildlife carers and rescuers, provide a service to the community that the pubic expects and the government fails to and cannot provide. Volunteers fund all wildlife rescue and rehabilitation from their own pockets with no funding from the state government except for a tokenistic and inadequate annual wildlife shelter grant. They make themselves available 24 hours a day, 7 days a week, 365 days a year. Yet the Andrews’ Government is planning to strip the community of this invaluable service, declaring that it is too costly to raise these animals and that they want to free up shelter resources. This cynical and disingenuous ploy is an insulting falsehood considering the lack of government funding and it’s own policies and procedures that put the welfare of wildlife at risk on a daily basis across all sectors. Hundreds, if not thousands, of trained and experienced rescuers across Victoria rescue and rehabilitate injured and orphaned wildlife. No one else can give the same level of service with the commitment, dedication and efficiency that we provide. No Government budget would be big enough and no department would be competent enough to achieve the same outcomes. Carers and rescuers, are committed to rescuing injured animals and they will continue to euthanase when necessary. But, I don’t agree they should become Andrew’s ‘killing machines’ to slaughter viable and healthy animals to facilitate a policy that is morally corrupt with no scientific merit. It is incomprehensible that the bureaucrats have not considered the psychological impacts these cruel policies will have on wildlife rescuers, carers and the veterinarians, who will be expected to undertake the killing, let alone the impact on members of the community who also encounter wildlife in need. This is an urgent wake up call to the predicament of Victoria’s native wildlife that are in the incapable hands of a mega-department that is actively working to harm and exploit them for political and economic gain. We ask everyone to contact Victorian parliamentarians and tell them that wildlife and wildlife volunteers are valued. They must remember that Australia has the highest rate of mammalian extinction on the planet and that all ‘threatened’ and ‘extinct species’ were once considered ‘common and secure’.